This website and its content and design are ©1996-2006 by the webmasters. Additional materials supplied by other contributors as noted. 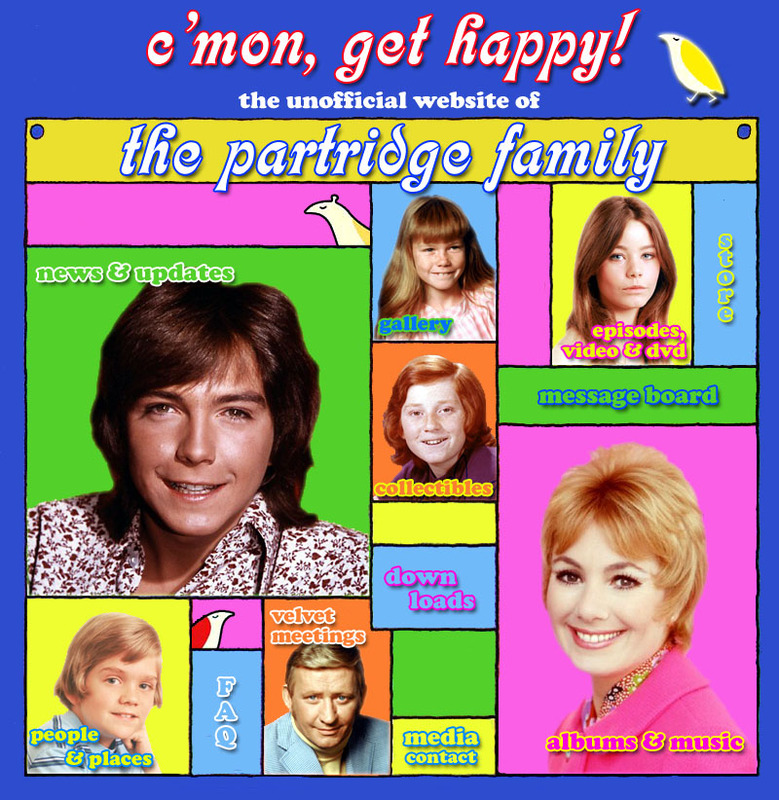 The Partridge Family, its logos, images and indicia are copyrights of Columbia Pictures Television and CPT Holdings, Inc. All Rights Reserved.